Many cities in the world are experiencing the growing problem of vandals tagging glass and other surfaces in public places using mechanical etching tools, acid and paint. Graffiti can cost building owners, transport companies and tenants many thousands of dollars in annual clean up and repair costs. While LLumar® Anti-Graffiti Film won’t prevent taggers from leaving their mark, it does help prevent permanent damage. Whether applied to vertical or sloped glass, mirrors or stainless steel, installation and replacement by professionally trained staff is quick and easy, avoiding the disruption caused by window replacement. When vandals strike, the film is simply removed along with the tags revealing the unspoiled glass surface ready for the replacement sacrificial film. 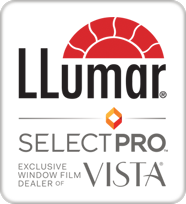 LLumar® Anti-Graffiti Film, a part of the LLumar® Protective Film Series, is now the front-running solution to cost-effectively mitigate damage. These specially designed films, nearly invisible once installed, provide a removable, sacrificial surface that can reduce or eliminate the need for expensive glass replacement. A single replacement of just one window can easily exceed ten or twenty times the cost of film installation. Patented, crystal clear scratch-resistant coating, the industry’s toughest and most durable coating on polyester films. Contain a special mounting adhesive that allows the film to be easily removed and replaced without adhesive residue. Are easy to clean and maintain with everyday household cleaning products. Offer optimum clarity without distortion – so clear that vandals won’t even know that it’s there!